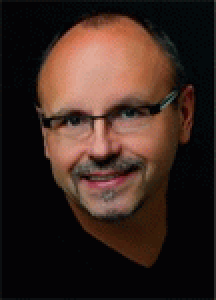 Ed Zabinski is a Top Remax Realtor with over 25 years of experience in Edmonton. I represent both Buyers and Sellers. From first time buyers to growing families to seniors adjusting their life styles for todays needs. Put Ed's Experience, Dedication and Passion to work for you today. Your selling experience will be Stress Free knowing all the details are being taken care of in a professional, timely manner with the greatest care and attention. I will guide you as we go along with "What happens next " so there is no guess work on your part. I will assist you with "Staging" your home, but I go a lot further than that. Sometimes we can get you thousands more with just a few adjustments. Flexibility. This is key in todays ever changing market place. Together we will develop a plan that meets your family needs and gets the job done. I provide feedback on showings! Valuable insight for us. From Start to Finish, I will be there for you. I guarantee it! All Edmonton Listings (9000 + ) are available through my website. Click on " Properties " or scroll through my featured listings by clicking " View My Listings ". You can view all properties or have specific properties emailed to you. Install your personal criteria and have matching listings sent to you as they hit the market? Never miss out on a property... I can set you up or you can. Your choice. It would be my pleasure to assist you in all your real estate needs.